Just three days after securing the victory at the NXR-Southwest Regionals and ten days after clinching her second Cross-Country State Title, Samantha Schadler (Rio Rico, Sr.) signed with Duke University with the intent to run Cross-Country and Track and Field for the Blue Devils next fall. 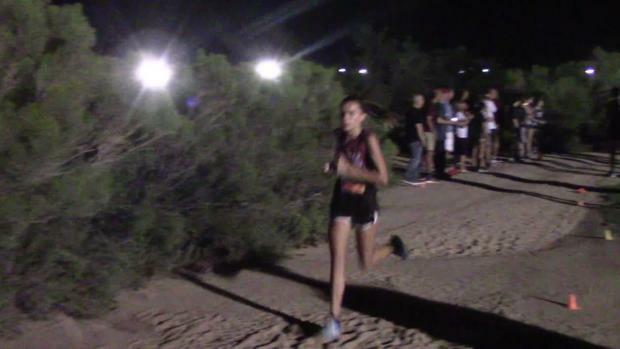 This season, Samantha ran 16:14 for three-miles at Woodbridge and this past weekend she ran a PR of 17:06.15 over 5km along the pancake-flat Francisco Grande Golf Course. 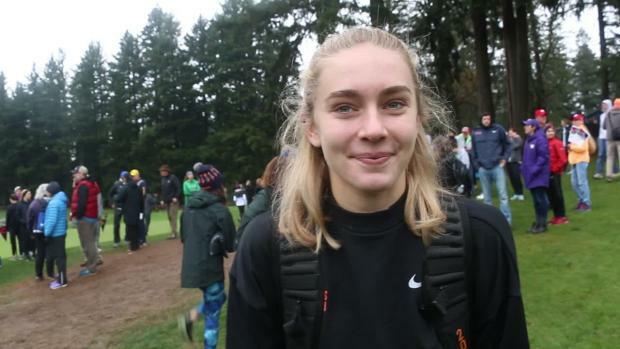 As of this weekend, Schadler is ranked 19th on the MileSplit50 Individual Rankings for Girl Cross-Country performers. 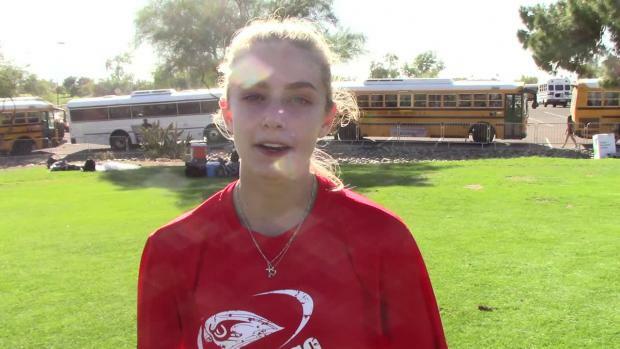 We caught up with Schadler shortly after she signed her agreement at Rio Rico High School. What singled out Duke in your mind as the right choice? I just felt like Duke was the perfect fit. I know you always 'look for the feeling,' like everyone always says. It wasn't quite like that for me. I felt like it was a really hard decision, but I felt like I had made the right decision. Duke was the right mix of people, academically and athletically. I felt like the team there and the coaching staff there were very supportive and were the people with whom I'd like to spend four years. This was Coach Riley's third season coaching at Duke. What drew you to the program and what do you like about her coaching style? It's fairly similar to my dad's in that she cares about the development of each individual athlete. I know that she's been working hard to bring the program to where it is now and they're not stopping here they're gonna' continue to get better and I want to be part of a program that's on the rise. I want to contribute and ride that wave with them. What kind of a responsibility do you feel going into a developing program? I feel a responsibility to contribute but I feel like it's a good place to be because there's very little pressure. I feel like I can go in and see where the program takes me. Speaking of responsibilities, have you decided on a major and if not, what attracts you academically at Duke? I haven't decided yet. At Duke, you only have to decide halfway through your sophomore year. I've been thinking but I haven't set my mind on anything yet. I'm interested in biology and journalism and I know those two don't fit together, but we'll see what we can do with it. What's the thing you're most excited to do when you move out to Durham? I haven't really thought about it. I'd like to explore the campus and explore the city. Durham has a lot to offer socially. I hear it's a pretty artsy town, very cultural. I'm excited see what Durham's all about. 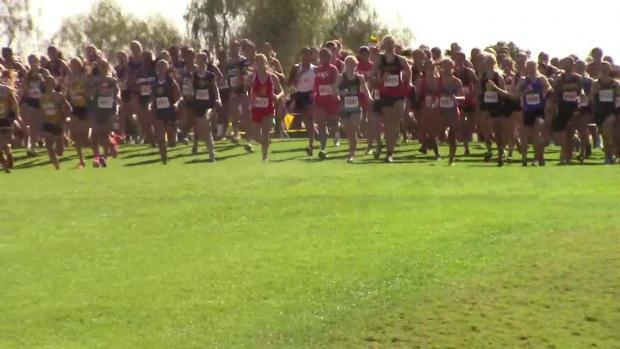 Stay tuned as we cover more athlete signings throughout the year on https://az.milesplit.com.